Megan visited Cambrian College’s Open House in April and accepted her offer in the Practical Nursing Program. 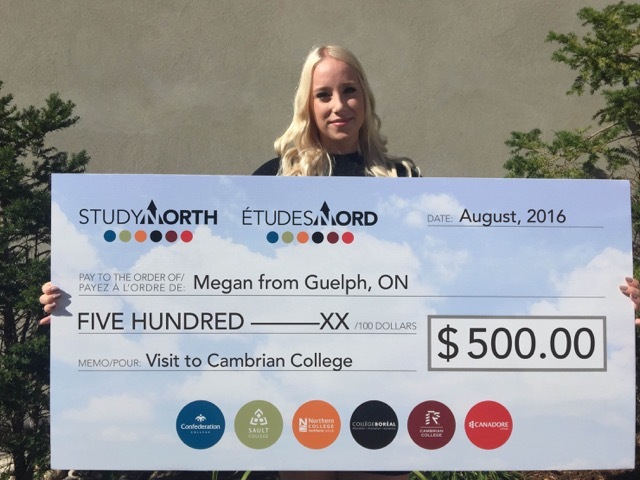 Megan loves the northern lifestyle the biggest reason for accepting her offer to Cambrian college is because of the smaller class sizes. Megan has also visited the Sudbury hospital and has had the opportunity to ask some of the staff and current students working there questions on what to expect in her before her Fall studies.